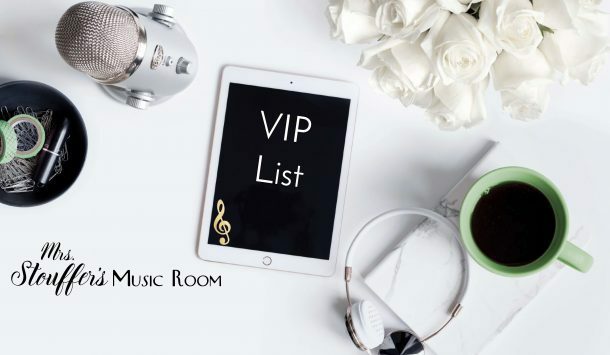 Today I’m here to tell you about my wishlist! 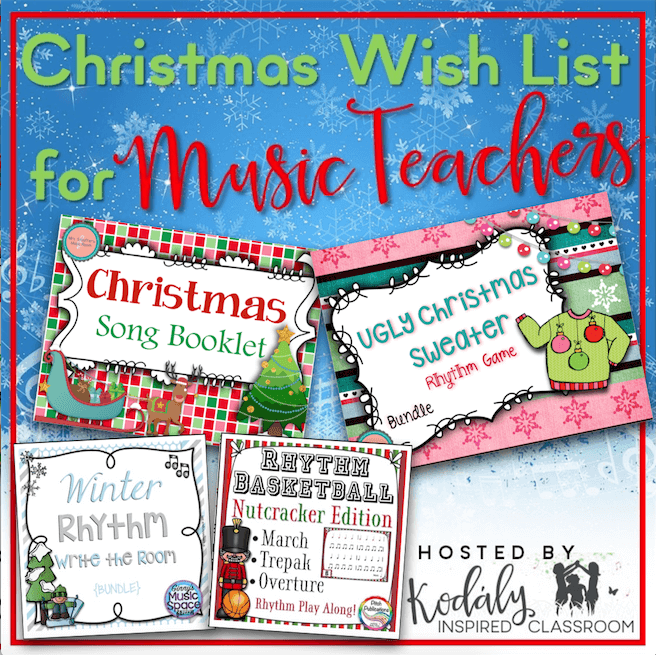 I’m so excited to tell you about the Teachers Pay Teachers site wide sale that will happen tomorrow November 30th (Cyber Monday) and Tuesday December 1st. During these two days you can save 28% in my store when you enter the promo code SMILE at checkout as well as lots of other stores! 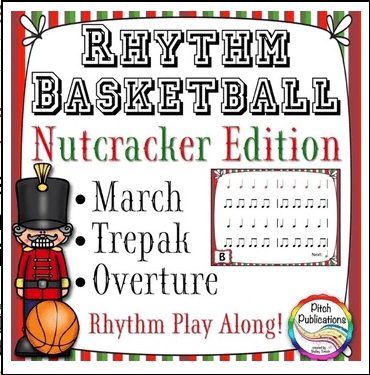 Are you looking for a fun holiday way to practice rhythms with your kids that will keep their interest as the holiday vacation draws near? This fun game is great for an assessment – formative or summative. But if you aren’t careful, you might get stuck with the ugly sweater! If they read the rhythm right (in regular notation), a present (a point!) for their team. This is a GREAT game if you have an Interactive Whiteboard. Just throw something soft at the board (like a koosh, or soft squishy ball, and the rhythm they hit is theirs to read. If you don’t have an interactive white board (like me! ), it still works!!. 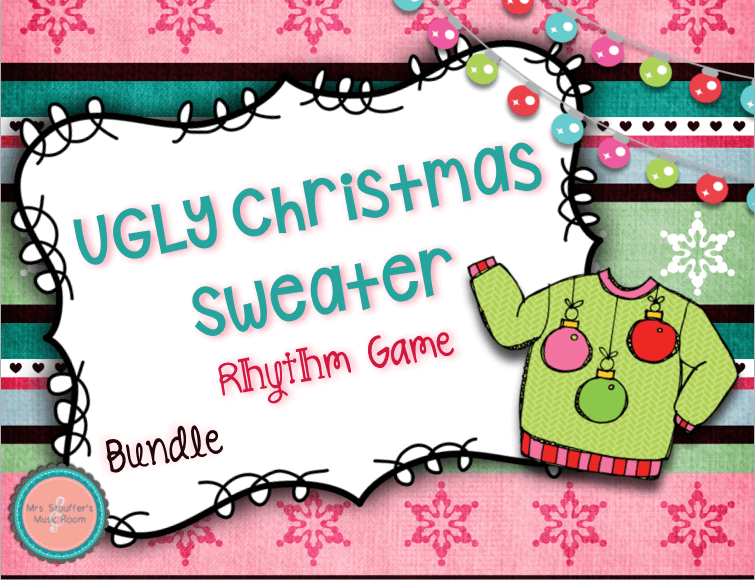 Just use a mouse to click the sweater you want to chose (you can do this, or a student helper). Project on the wall, or run through the computer system in a way that you students can see it. I use my computer to project through a TV. A fun printable for the holiday season! This print-friendly booklet is perfect for the holiday season for ANY school! Sectioned so that teachers can easy print for their needs. Includes a Hanukkah section, as well as editable pages for all seasonal holidays including Kwanza, Santa Lucia Day, Las Posadas, and Diwali. Colorable pics throughout the book! 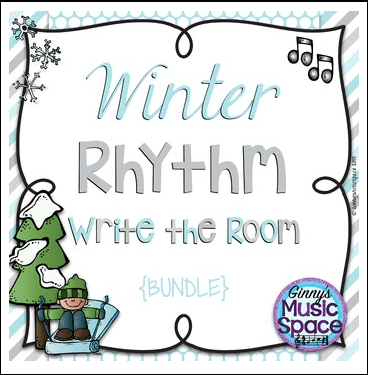 ​These are perfect for practice writing rhythms, and in case I don’t get to them before break, I love the winter edition! I can start it when the kids are ready! I can’t wait to try this! It looks so fun!! Love the Ugly Sweater game! How fun! Thanks for linking up! That ugly sweater game is so cute!